From AccuWeather's proprietary computer model: Forecast of rainfall for the next twelve hours ending at 11pm EDT. Please note as much as seven inches are forecast in extreme northeast Georgia with as much as 4" in far southwest North Carolina. 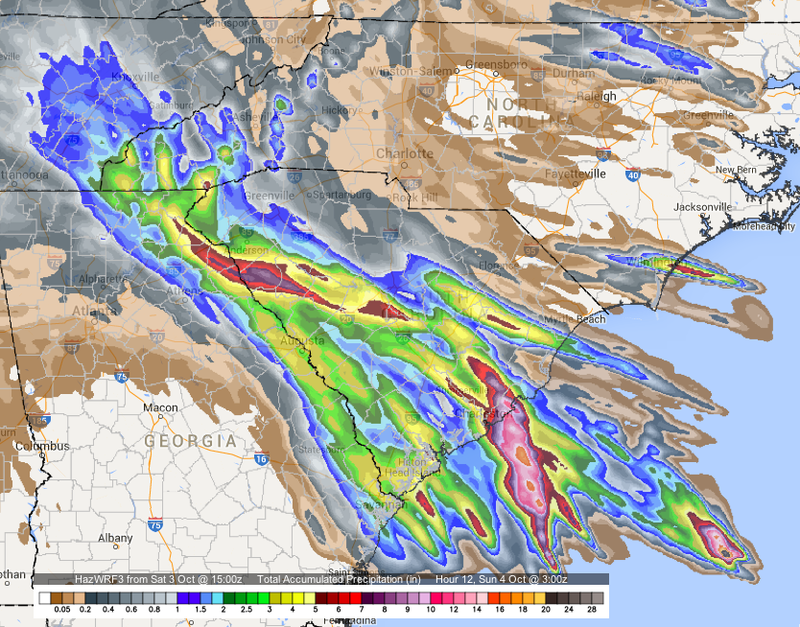 Additional heavy rain is forecast over the region beyond this period of time. As of this moment, the dark green represents flash flood watches, the bright green are flood warnings and magenta are flash flood warnings. 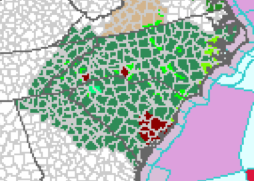 The number of warnings is going to rapidly multiply rapidly throughout the day. Catastrophic flooding will result from this weather situation.